Make Your Own Professional Ventriloquist Figure! Maher Ventriloquist Studios has teamed with figure builder Mike Palma to create the first ventriloquist figure-making course of its kind. Sculpt a ventriloquist dummy head out of clay. Create molds that capture every essence of your sculpture. Cast the ventriloquist dummy’s head and check the quality. Cut out and build a moving mouth. Explain exactly how the mouth pivot point is determined. Build self-centering, moving eyes for your ventriloquist figure. Provide a step-by-step demonstration of how to install the mechanics. Create a head stick and controls. Build a wooden ventriloquist figure body. Sew and attach arms and legs. Paint the ventriloquist figure to bring it to life. Over six months in creation. Each step is shown as you watch Mike build a ventriloquist figure from concept to performance. You’ll see every detail as it is crafted. You’ll discover tips that make figure building easier. This course will benefit beginners and experienced builders alike. More than four hours of HD video. Being intimidated by the idea of building a ventriloquist dummy is now a thing of the past. This course puts you in the workshop with Mike for personal one-on-one instruction. Ventriloquist figure building instruction moves to a new level. A professional ventriloquist figure by one of today’s top makers can cost $1,000.00 or more. If a professional figure maker took the time to instruct you personally, you would end up paying thousands of dollars. This course provides you with the instruction you need to create an original, professional-quality ventriloquist figure from start to finish. If you build only one figure, you’ll save hundreds. If you decide to build more than one figure, you could save thousands. If you were to start selling your creations, this course would pay for itself many times over. Unlimited lifetime-access to the course materials. 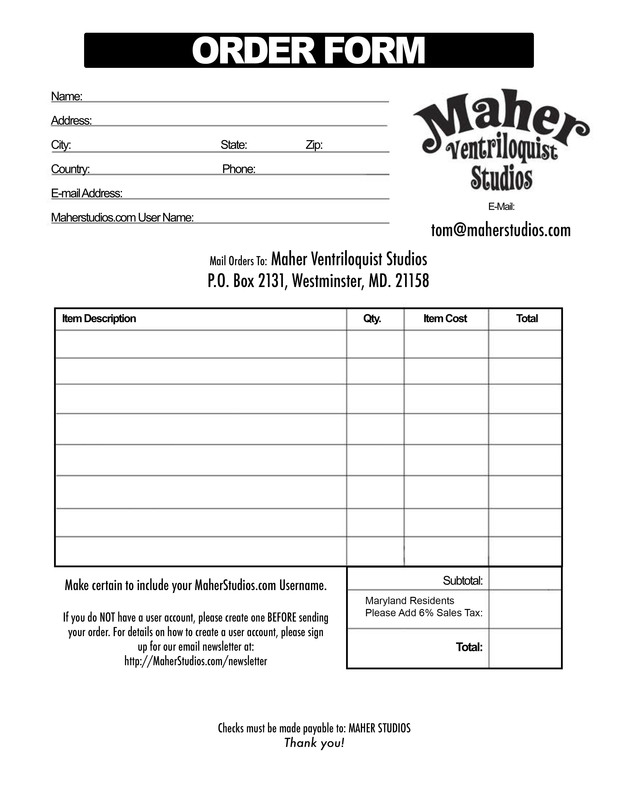 Like all Maher Studios on-line courses – once you purchase Mike Palma’s Build Your Own Ventriloquist Figure, you never lose access to the materials. Have a question? You can easily refer to the videos any time – no hunting for DVD’s or the right page of a book. Just log into Maher Studios and watch the video you need on your phone, tablet or computer. Everything is laid out so you may access what you need when you need it! Sign up today and learn how to build your very own professional ventriloquist figure.